Demonstrating its commitment to the long-term success of the Oregon Bach Festival, the University of Oregon is moving festival management under the university’s School of Music and Dance to produce the 2018 festival, bolster administrative support and create stronger ties to the university’s academic mission. The festival began in 1970 as a program of the school of music. 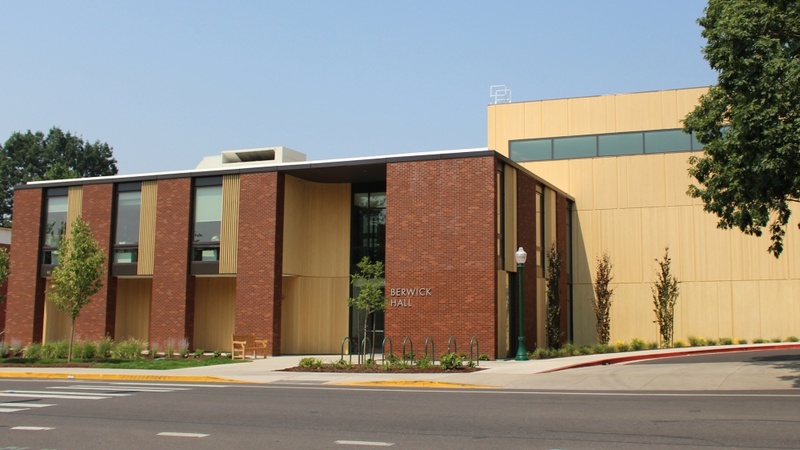 It later became a semi-independent university affiliate that flourished under the leadership of co-founders Royce Saltzman, who joined the music faculty at the UO in 1964 and served as associate dean of the school of music for 12 years, and Helmuth Rilling. Staged over three weeks in early summer, the Oregon Bach Festival is celebrated by audiences and critics for its mix of choral-orchestral masterworks, chamber music, family events, scholarly programs and talks and lectures. Centered on the music of J.S. Bach, it also explores the generations of composers before and since with connections to his influence. Under the revised structure, the festival’s executive director will report to the dean of the School of Music and Dance. With the departure of conductor Matthew Halls a few weeks ago, music school Dean Brad Foley will immediately seek input on artistic direction from the festival’s staff, board representatives, music school faculty and community members. The university and festival leaders do not intend to revisit Halls’ separation. Though the festival has a strong network of supporters and patrons, Foley noted that the festival and others like it face significant headwinds as a result of demographic changes among classical music consumers and evolving audience tastes and expectations. Foley said he will work closely with festival staff, the board, music school faculty, outside musicians and conductors, donors and audiences to ensure that the festival continues to deliver on its mission of celebrating the music, legacy and spirit of J.S. Bach for many years to come.